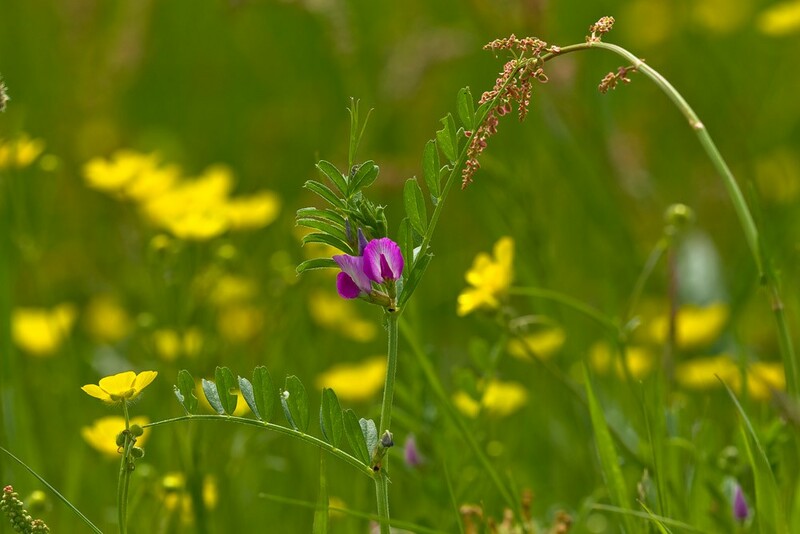 As with most other vetches the leaves of common vetch consist of many paired leaflets and a branched tendril at the tip, which it uses to scramble over other plants. 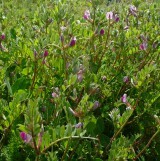 The purple flowers, which are usually in pairs but occasionally solitary, are in bloom from May to September. 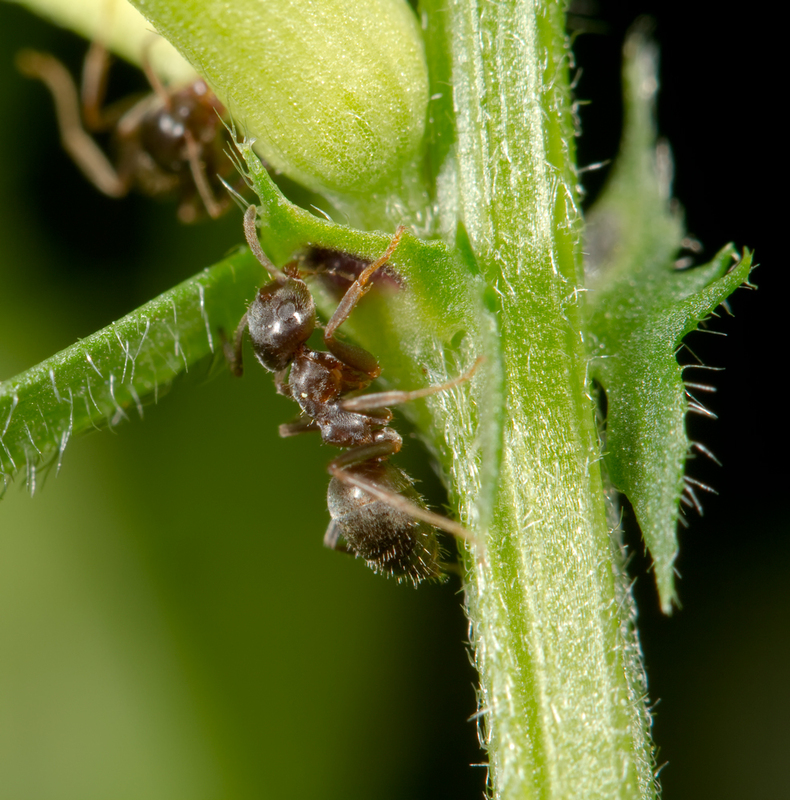 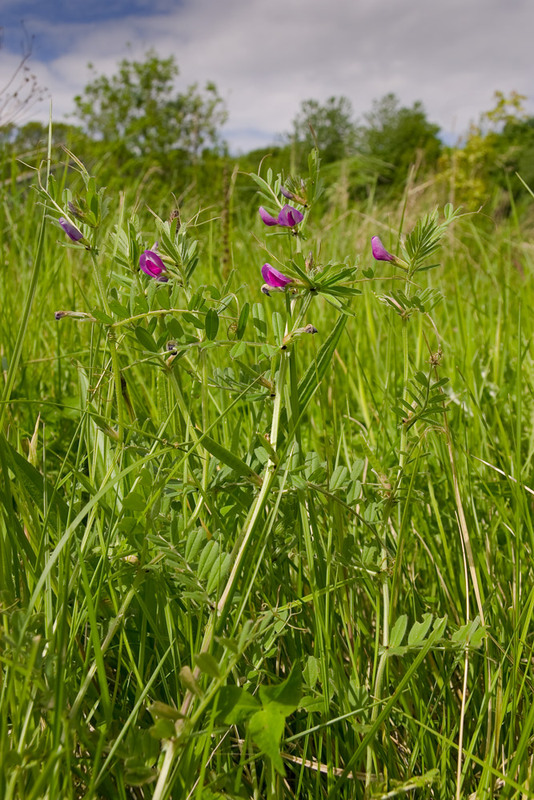 Our plants belong to the commonest and must widespread of the sub-species found in Britain, Vicia sativa ssp segetalis. 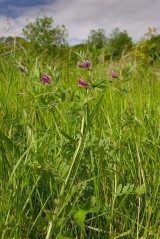 Common vetch is a plant of neglected but open or disturbed grassland particularly those on dry and sandy soils. 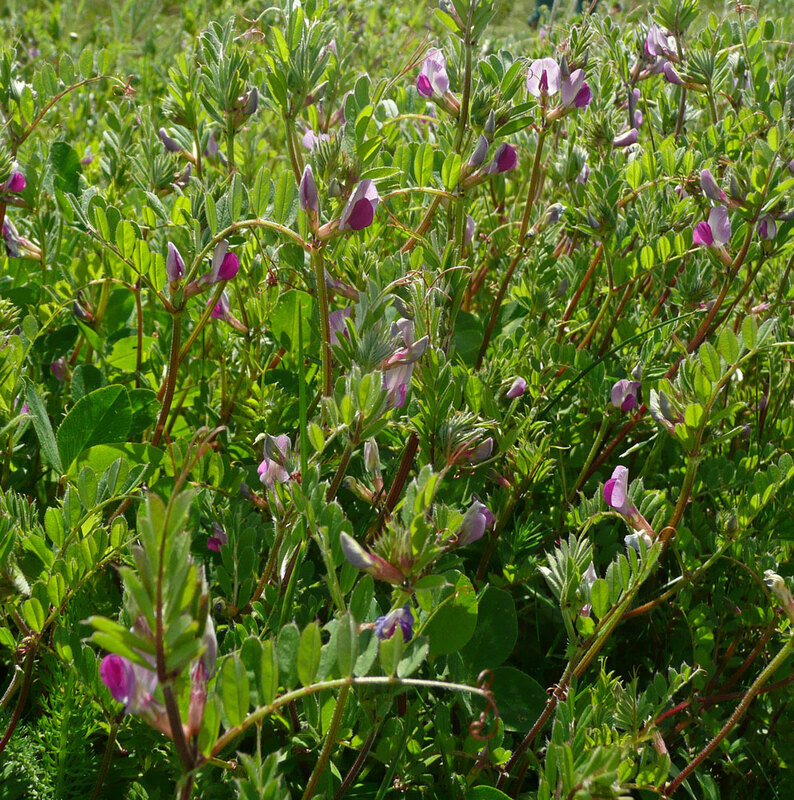 It is present as three reasonably defined sub species, ssp nigra which is probably native and mainly coastal in distribution, ssp sativa which is introduced, now rare but was once grown as a fodder crop and ssp segetalis which is usually described as a relic of cultivation but considered native by some authorities.